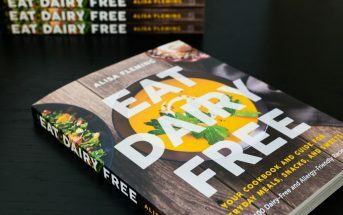 Heading into month two of sharing my Dairy-Free 3-Book Journey with you, I’m pretty proud of what I’ve accomplished in the past four weeks. I took the pressure off and allowed a solid week to get re-organized with what needs to be written and the recipes that must be created and perfected. I decided to dive into recipe creation with a strong focus on getting most of the baked goodies done before the summer heat hits. The accomplishments also resulted in a spin-off recipe for personal-sized Maple French Toast Casseroles, which I’m going to share with you today! 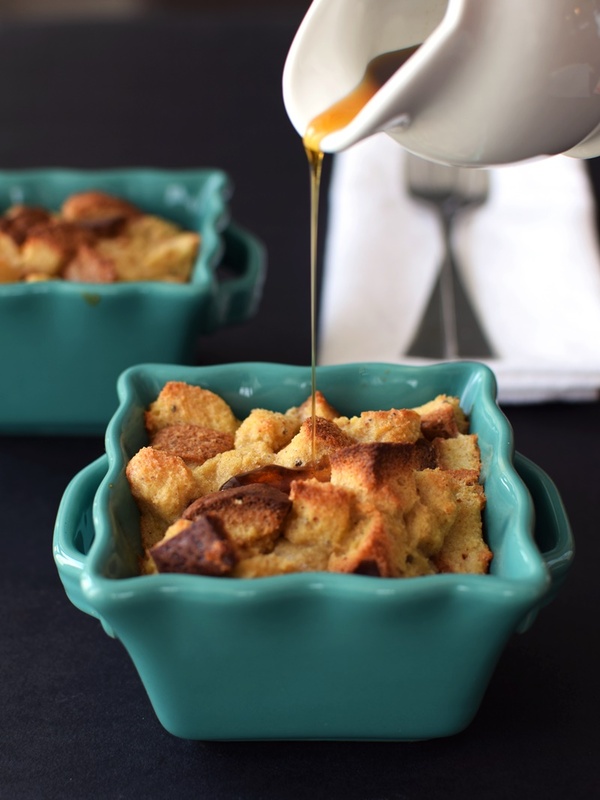 and… Maple Baked French Toast Sticks… the inspiration for these Mini Maple French Toast Casseroles! These personal-sized maple French toast casseroles can be made on the spot or in advance. You can chill them unbaked, or stash a couple baked ones in your fridge for reheating on demand. 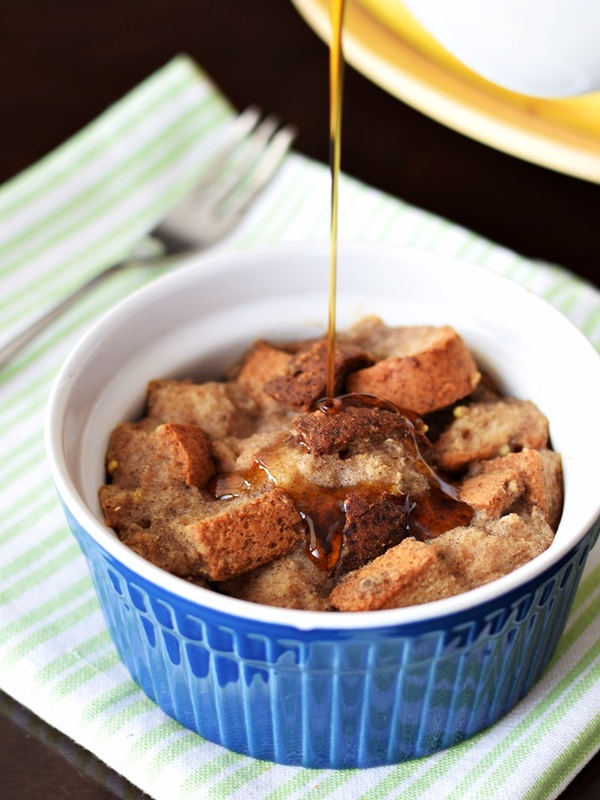 As pictured above and below, these maple French toast casseroles are gluten-free (I used Little Northern Bakehouse Millet & Chia Bread), but of course they work wonderfully with wheat bread, too! Day old or lightly stale bread is the way to go, which is why gluten-free is easy with this recipe. I did find that the gluten-free bread crumbled a bit when wet, but since it all bakes up together, there is no loss. Wheat bread gave me chunkier, yet equally tender and moist results. I also created a vegan version of these maple French toast casseroles, and let me tell you, it was no easy feat! Many vegan versions that I’ve spotted online looked flat and dense. I wanted moist, lightly risen and just plain delicious. My vegan variation tastes different from my “just dairy-free” original, but it is no less amazing. In fact, we liked both equally. My goal in creating recipes and adapting them to fit other diets is never straight mimicry, rather, it’s to create good food for all to enjoy, plain and simple. Does the recipe work? Can almost anyone make it? Are the results delicious? 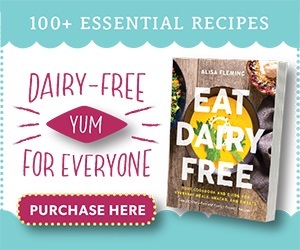 If “yes, yes, and yes”, then we have a Go Dairy Free, Alisa-approved winner! On my next 3-Book Journey Post (roughly just 30 days from today! 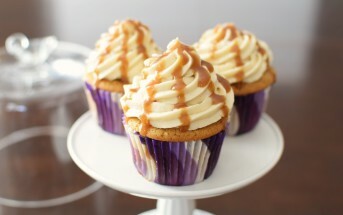 ), I hope to finalize the last 39 recipes in book #2! Many are in the testing phases, so I actually think this goal could be realistic without sacrificing a bit of quality. Then, I will be able to dedicate the summer to some much needed dairy-free research for covering health, allergies, and more! 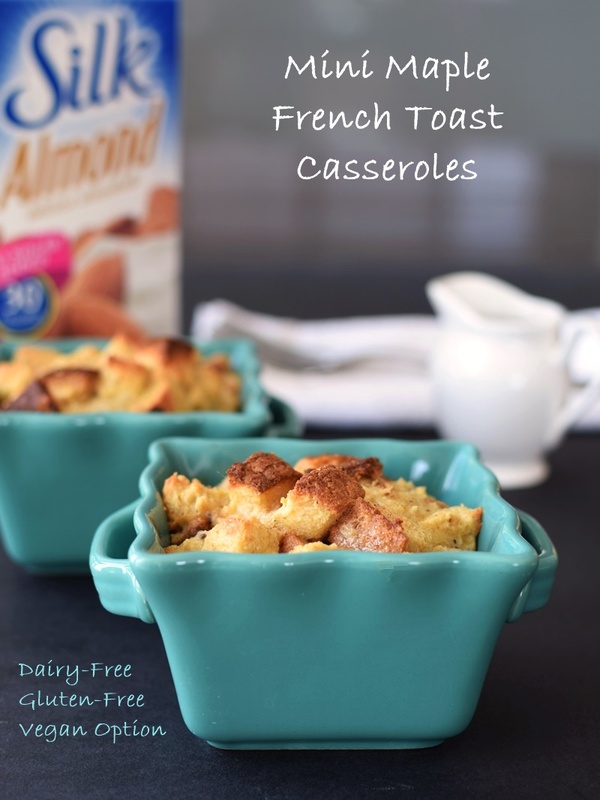 In addition to my monthly posts on this journey, and recipes like these Mini Maple French Toast Casseroles, you can follow more of my project and several others on Twitter, via the hashtags #Inspired and #LoveMySilk. This series was made possible by Silk, and I’m every so grateful for their dairy-free support! By ingredients, this recipe is dairy-free / non-dairy, optionally egg-free, optionally gluten-free, peanut-free, soy-free, optionally vegan / plant-based, and vegetarian. For nut-free maple French toast casseroles, use a milk beverage that is “safe” for your needs. 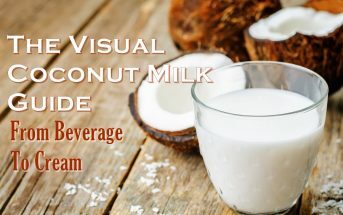 I like the taste of almond milk in this recipe, but you will get equally good results with soy milk or coconut milk beverage, for examples. This easy, scrumptious recipe has been tested with both gluten-free (pictured) and wheat-based bread, and I've included a unique, fully-tested, delicious vegan version, too! In a large bowl, whisk together eggs, milk, maple and salt. Add bread cubes and gently toss to completely coat. Fill 4 greased ramekins with the bread cubes, gently pressing down as needed. If there is any leftover liquid in your bowl, drizzle it atop the bread cubes. Preheat your oven to 350ºF, letting the bread cubes sit and soak while the oven preheats. Bake for 25 to 35 minutes, depending on how deep your ramekins are (shallower ones will cook more quickly), how moist or dry you like your French Toast, and how well the bread soaks up that liquid! Serve with pure maple syrup for drizzling. Vegan / Egg-Free Version: Omit the eggs and increase the unsweetened vanilla milk beverage to 1 cup. You are going to place the bread cubes in your large bowl first. 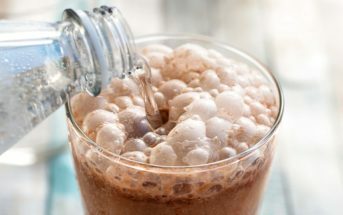 Then blend the 1 cup milk beverage with ¼ cup mashed banana, 2 tablespoons buckwheat flour, 2 tablespoons maple syrup, 1 tablespoon oil (your choice of type), ¾ teaspoon baking powder, and ⅛ teaspoon salt in your blender until smooth. Pour the mixture over the bread cubes and toss gently to coat. Proceed with step 2. Baking time will be closer to 30 to 35 minutes. For a lightly sweeter and more moist result, increase the banana to ⅓ cup and the baking powder to 1 teaspoon. 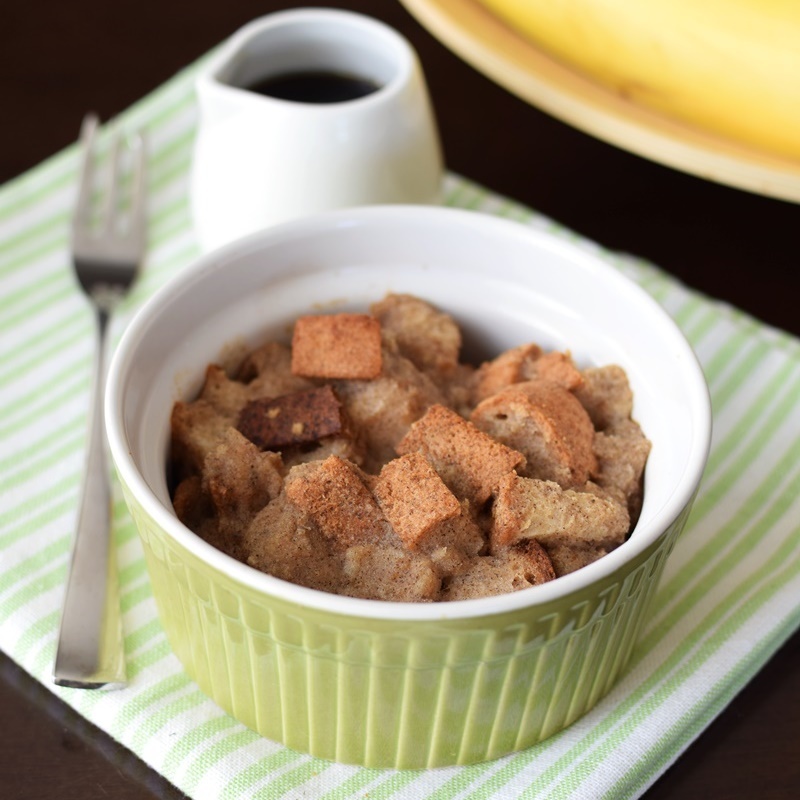 Pin this Maple French Toast Casserole Recipe for Later! Can you use Lactaid brand milk instead of the silk ? I always wondered if you can cook with the lactose-free brand. Hi Jo Ann, yes, if you only need lactose-free, not dairy-free, then you can use a lactose-free milk – it will work fine in this recipe. Enjoy! Wow, that list of recipes sounds pretty amazing! And these casseroles are perfect – I love the short ingredient list. So perfect! Only five ingredients? And they are gluten and dairy free? I love you! I recently went gluten and dairy free so I’m scouring the net for great recipes … and these fit the bill! Love that they are the perfect little size too! Thanks! Those ramekins are so cute! Love these mini versions! Aren’t they? I spotted them at World Market and just had to have them! I like the idea of Almond Milk. I will have to give this a try for our swim team breakfasts. 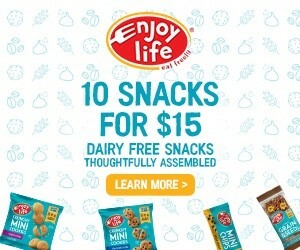 We have kids who need the peanut free and gluten free options and this is perfect. Yum. This looks like the perfect breakfast to me, and my kids would think the individual servings are so fun. Pinned for later! wow, that is a delicious list so far – I cannot wait to see these books! I love French toast, I’d like to try this with a fluffy dinner roll! Thanks Kristina and me too, haha. Books can take so much time!